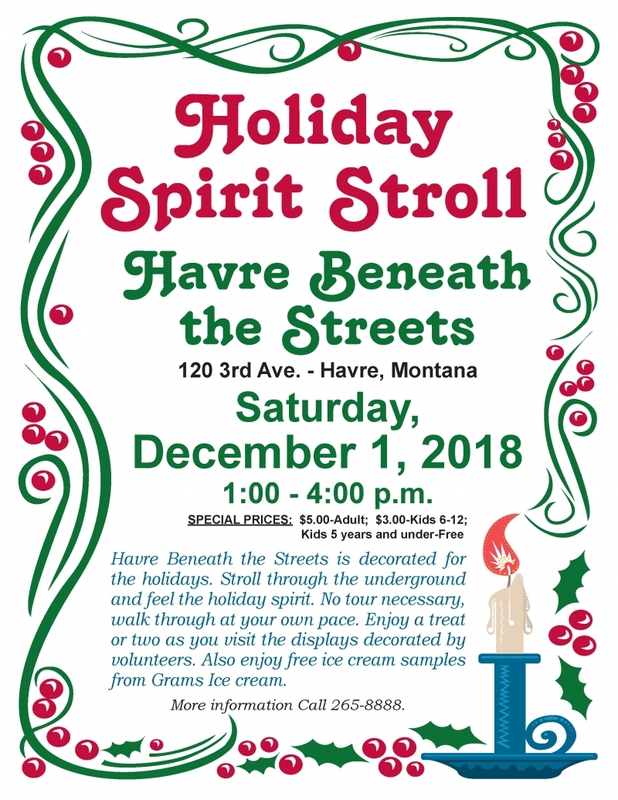 Havre Beneath the Streets is decorated for the holidays. 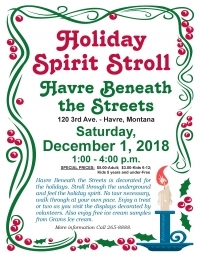 Stroll through the underground and feel the holiday spirit. No tour necessary, walk though at your own pace. Enjoy a treat or two as you visit the displays decorated by volunteers. Also enjoy free ice cream samples from Gram's Ice Cream. Special ticket price for this event only. 120 3rd Ave. 406- 265- 8888 for more information.